After the Massachusetts Department of Elementary and Secondary Education (DESE) designated New Bedford Public Schools a Level 4 “Underperforming” district in 2011, triggering state monitoring, the district struggled to make any initial progress. In the summer of 2013, Dr. Pia Durkin took on the turnaround challenge and immediately began work on an Accelerated Improvement Plan (AIP) in partnership with DMGroup, which was brought in by DESE as the plan manager. DMGroup helped Dr. Durkin develop a strategy, delineate the steps for turnaround, and establish clear, ambitious goals for all staff. By September 2013, Dr. Durkin introduced a significant and quantifiable goal for the district: to reduce the number of students not proficient by 40% or more, in every grade and at every school. During the 2013-14 school year, Dr. Durkin and DMGroup executed a two-pronged approach: (1) to keep the improvement plan on track in the near-term, DMGroup provided much-needed capacity, taking on a variety of tasks and assignments; (2) simultaneously, DMGroup worked with the district to build capacity of district staff to take over such work in the longer term. Tools and systems were put in place to provide support as well as to promote accountability. With the foundation for change established by the end of Dr. Durkin’s first year, the AIP and its accompanying processes served as the central tool for defining and driving the work of the district over the next several school years. New initiatives strengthened supports for teachers and principals, added programmatic supports for historically underserved students, and initiated high school redesign. By 2016 graduation rates were rising at the high school and ELA and Math achievement was showing signs of improvement for students in grades 3 through 8. In July of 2017, New Bedford’s turnaround work achieved a major milestone when DESE announced that the district was being released from monitoring. While more work is to be done, success is on the horizon. We’re very excited that the work has taken on a life of its own. People are looking at their practice to see how they can adjust to get better results. But the bottom line is that kids come first. It’s not about one individual or one superintendent, it’s about a community rising up and believing that we can do far better for our kids. In May 2011, noting that too many of the schools in New Bedford Public Schools were ranked in the lowest tier of the state’s accountability system, the Massachusetts Department of Elementary and Secondary Education (DESE) made the decision to designate the district a Level 4 or “Underperforming” district, triggering state monitoring. DESE noted that some New Bedford schools "struggle[d] with student attendance, discipline, graduation, and retention," and had even considered designating New Bedford Public Schools a Level 5 or “Chronically Underperforming” district, which would have triggered a state takeover. Even under the state’s watch, the district continued to struggle. It was not until 2013, when Dr. Pia Durkin arrived as superintendent, that the real work of turnaround began. It was in this context that Dr. Pia Durkin became the superintendent of NBPS in summer 2013 to lead the turnaround. Dr. Durkin immediately began work on creating an Accelerated Improvement Plan (AIP) in conjunction with the DMGroup, the plan manager provided by DESE to give the chronically low-performing district an initial boost of external support to effectively plan and execute the turnaround (DESE provides a plan manager for any Level 4 district). Residing somewhere between a district strategic plan and a school improvement plan, the AIP is a state-required tool with a one-year time frame that explains district leaders’ goals for the year and sets out an implementation plan. Dr. Durkin was determined to launch her first school year with an approved AIP in place. Working with DMGroup, she immediately set about codifying New Bedford Public Schools' Theory of Action and strategy, shaped by Dr. Durkin’s intense focus on instruction. DMGroup then helped translate that strategy into an AIP by delineating the steps for turnaround and establishing clear goals for all staff. At the fall convocation event in September 2013, Dr. Durkin introduced an ambitious, quantifiable goal for the district: to reduce the number of students not proficient by 40% or more, in every grade and at every school. As the 2013-14 school year progressed, Dr. Durkin realized that the need for capacity building would be far greater than she had anticipated. She and DMGroup arrived at a two-pronged approach: (1) to keep the improvement plan on track in the near-term, DMGroup agreed to provide the needed capacity, taking on tasks and assignments in lieu of district staff; (2) simultaneously, DMGroup worked with the district to build capacity for the long term. To drive culture change, Dr. Durkin worked with DMGroup to introduce tools and systems to focus leaders and teachers on the ambitious goal of reducing the number of students deemed not proficient by 40%, while providing supports and promoting accountability. Data tools were developed to show teachers the depth of student need, to show principals the gaps in instruction, and to show the central office what more they could be doing to support schools. DMGroup also helped the district create a “rigor rubric,” an easy-to-use tool that helped schools focus on three crucial elements of rigorous instruction: using content at grade level, student engagement, and teachers promoting persistence. The rigor rubric, together with examples for each content area and grade level, helped raise and align staff expectations for what students should be able to do. For the first time, teachers and principals had common expectations for instruction, which created a foundation for feedback, coaching, and professional development. After a tough first year in the public eye, Dr. Durkin’s efforts to engage a wide range of stakeholders in the turnaround of the New Bedford Public Schools were recognized when, in the fall of 2014, she was honored by being named “South Coast Woman of the Year” by the local newspaper. The AIP has become a tool that is ‘alive and active’ in all of our schools. There is an alignment between the AIP and the improvement plans at each of the schools. With the foundation for change established by the end of Dr. Durkin’s first year, the most crucial step for Year Two, SY2014-15, was the expansion of the district’s leadership team in order to embed and sustain the positive changes for the long-term. This process involved identifying, cultivating, and supporting leaders in the central office as well as in the schools. In the central office, the district created a position for a Chief Academic Officer (CAO) and hired Dr. Jason DeFalco, an experienced Massachusetts urban principal, for the job. The expanded capacity for district leadership was apparent in the annual process for building the new AIP. Whereas Year One's AIP had been an effort largely between Dr. Durkin and the DMGroup team, the new AIP was written collaboratively by Dr. Durkin, the CAO, and a team of academic directors and high-capacity principals, with DMGroup playing an advisory and facilitative role. After Dr. Durkin and Dr. DeFalco defined the end-of-year goals, the work was grouped into initiatives, and each initiative was assigned a leader and a team. DMGroup worked intensively with each leader to draft specific plans to achieve the end-of-year goals and to monitor progress throughout the year. These teams met regularly to monitor progress and hold each other accountable; at quarterly meetings, they looked at student data to assess progress and impact. From SY2013-14 through SY2016-17, the AIP and its accompanying processes served as the central tool defining and driving the work of the district. New initiatives in these years strengthened supports for teachers and principals and added programmatic supports for historically underserved groups including academic supports for English Language Learners and students in special education, as well as non-academic wrap-around supports for students living in poverty. In 2014, the district also partnered with DMGroup to develop a high school redesign plan and won $1.3 million in school improvement grant funds to aid implementation. Meanwhile, high school graduation rates were rising, and ELA and Math achievement on standardized tests showed signs of improvement for students in grades 3 through 8. 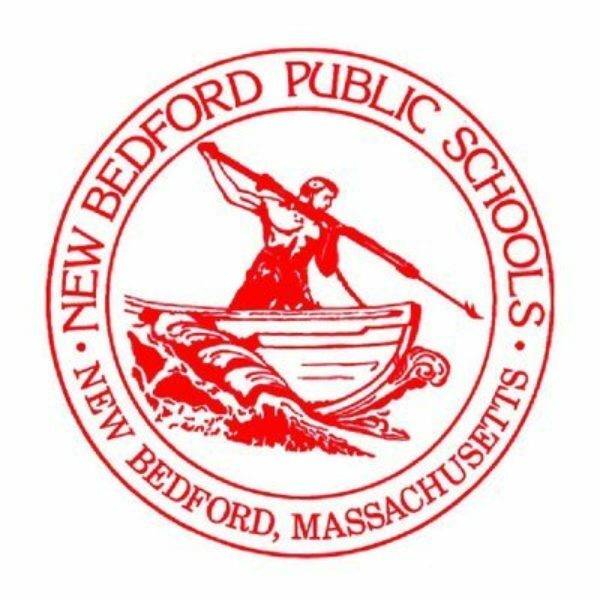 In July of 2017, New Bedford’s turnaround work achieved a major milestone when the Massachusetts Department of Elementary and Secondary Education announced that the district was being released from monitoring. While there is still a long way to go and not all academic indicators are yet trending upward, the sense of progress is real to DESE as well as to all those in the district. As Dr. Durkin wrote in her reply to the state, “This validation drives us all to redouble our efforts to continue the momentum.” For the first time in over a decade, there is now a belief that success is on the horizon for the students of New Bedford Public Schools. Codifying the district’s theory of action with an intense focus on instruction shaped the steps for turnaround with clear, ambitious goals for all staff. To support systemic improvement, important new initiatives strengthened supports for teachers and principals and added programmatic supports for historically underserved students. A “rigor rubric” developed by DMGroup, together with examples for each content area and grade level, helped raise and align staff expectations for what students should be able to do. Tools and systems were put in place to provide supports as well as to promote accountability. Principals were supported in developing a small number of high-priority areas for improvement based on data analysis, setting progress milestones, and crafting detailed action plans for implementation. At the High School level, this involved exciting changes in school structure and offerings for students and a major investment in redesign. By the end of SY2015-16, graduation rates and academic results for students had improved significantly, and in July 2017 the district received the exciting news from DESE that they would be released from state monitoring. New Bedford Public Schools (MA), a struggling district for more than a decade and rated a Level 4—“underperforming” district by the Massachusetts DESE in 2011, hired Dr. Pia Durkin as superintendent in the summer of 2013 to lead a turnaround. The bold work led by Superintendent Durkin and her team is leading to dramatic, tangible improvement in student results.